In the past week we’ve seen lots of news about Patents. Last week, Facebook was granted a patent on it’s “News Feed” feature, prompting concern that it might try to kill Twitter. This morning, Apple sued Android phone-maker HTC over a litany of patents. All this high-stakes patent news comes just as the Senate restarts work on a Patent Reform Bill that has been pending for years. Needless to say, it’s an exciting time to be digging into issues of patent law (well, as exciting as that gets). Facebook and Apple patents can be starting points to discuss lots of issues: Are they valid? Are they infringed? 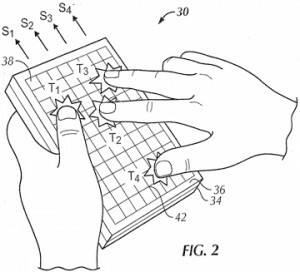 Do we even need Software patents? Etc. I’m going to however look at just one aspect of the iPhone and news feed patents, and that’s their interaction with the network effects of the technologies they cover. Network effects happen when the value of a good or service is directly related to how many other users use that good or service (ie. you value your phone because of how many people you can connect to with it). The network effects on Facebook are pretty straightforward: more people join Facebook because it’s the social network most people are already on. I’ve written about the Privacy implications of Facebook’s network effects here. The network effects on the iPhone are a little more nuanced, the wireless telephone network isn’t the issue (that’s operated by AT&T, and that network isn’t covered by iPhone patents). The network effects with the iPhone arise from the users and developers of iPhone apps. The iPhone is just a platform for connecting users and developers. Developers want the platform with the most users, users want the platform with the most apps. The iPhone is the dominant player in this market, but Google’s open-source Android platform has been quickly catching up. The interesting thing about markets with Network Effects is that they usually only support one dominant player (we only have one phone network, there’s only one DVD standard, and now only one HD playback standard: Blu-Ray). So that means that under normal competition, the superior product will win-out in the short term and become the market dominator (most recently we saw this with Blu-Ray beating HD-DVD). But what happens when we introduce patents into the equation? They could be used to stop short-term compitition, leading to eternal market dominance by an inferior product. Patents exist to incentivize creation and protect inventions, not to help one entity obtain a monopoly in a market susceptible to network effects. By many metrics, Google’s Android platform is superior to the iPhones (for example, the ability to run multiple apps at once, which the iPhone does not support). If Apple uses its patents to block the development of other platforms, it gains much more than a simple 20 year right to exclusively practice its invention. Rather it effectively becomes the only smartphone platform for the eternity of smartphones (which will likely be more than 20 years). To those who think 20 years is an eternity in software and that by then the point will be moot, I point you towards the still-dominant Windows operating system (which benefited from its own initial network effects, and faced multiple antitrust inquires, imagine if they had patents to block every other OS developer at the infancy of the computer age). As a patent attorney, I’m generally pro-patents, but I think we need think about their role in networked industries a lot more, particularly since so many modern-day innovations take place in a networked environment. 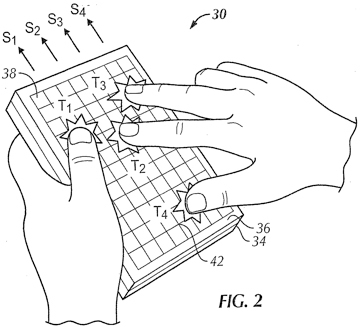 This entry was posted on Tuesday, March 2nd, 2010 at 4:50 pm	and is filed under Patents. You can follow any responses to this entry through the RSS 2.0 feed. You can leave a response, or trackback from your own site.